Kettleman City, California, is one of the place names that most experts in environmental justice recognize right away, along with Chester, PA, Cancer Alley in Louisiana, and the Niger Delta. Kettleman City has been been a conflict location between the local, deeply impoverished Latino community, the county, the state and the EPA for over a decade now. Kettleman City is the location of the largest toxic waste dump in the state of California–and it’s not just a relative measure. By any measure of volume and toxicity, this is one of the largest facilities in the US. I was pretty pointed in my review in JPAM of the book that Cole co-authored about the original environmental justice conflict in Kettleman City, largely because the authors allowed their personal dislike of EPA staffers to color their writing. They missed an opportunity to write about the institutional issues that really prevented justice from being served here and instead allowed readers to go forward with the impression–all to comforting to American readers–that government employees are lazy and inept and politicians are sleazy and that’s why the residents of Kettleman City were gaining no traction. They failed to describe how the law really is stacked against communities here–property rights are established, environmental rights are not, and the knowledge burdens are prohibitively high to overcome. Here, I suspect it will be difficult for the community to win on this, but they do have some tenacious activities. 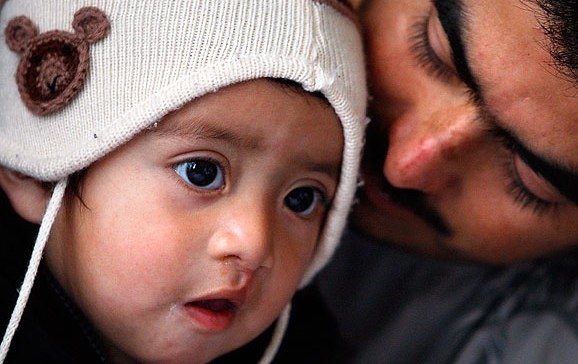 Nobody knows what causes cleft palates; we do know it’s one of the more common birth defects, and it does have a higher incidence in Asian and Latino families. This means that the environmental causes get harder to locate because it is not established that Asian communities are disproportionately located near chemical stressors, though it has been established in California for Latino families. So this is a group of people that has a higher incidence of the problem to begin with, and if this is a small town, the clusters may be related to clusters of families who have a genetic link to the defect. That said, the case demands investigation; cleft palates are not the only birth defect reported in Kettleman CIty, and the reports have been coming in over a decade. This is an important learning opportunity for environmental policy and public health in addition to being a crucial community issue for the residents. Cole, L., & Foster, S. (2001). From the ground up: Environmental racism and the rise of the environmental justice movement. New York: New York University Press.